Secretary of State Matt Dunlap answers questions during a Dirigo Speaks event at the Bangor Arts Exchange Wednesday. Also pictured is Joellen Easton of the Bangor Daily News. 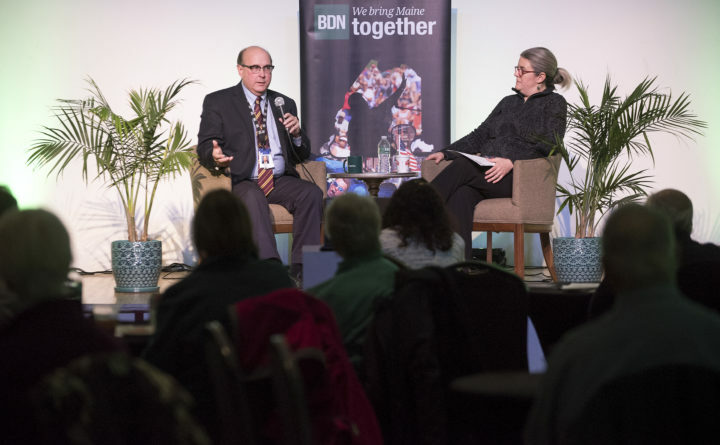 Secretary of State Matt Dunlap joined the BDN at 5:30 p.m. on Wednesday, Nov. 14, for an “Ask Me Anything” edition of Dirigo Speaks at the Bangor Arts Exchange. Matt Dunlap "Ask Me Anything"
Maine Secretary of State Matt Dunlap joins the Bangor Daily News for Dirigo Speaks tonight at the Bangor Arts Exchange. He invites the audience and everyone on the live stream to "ask me anything" about ranked-choice voting and elections. Go! 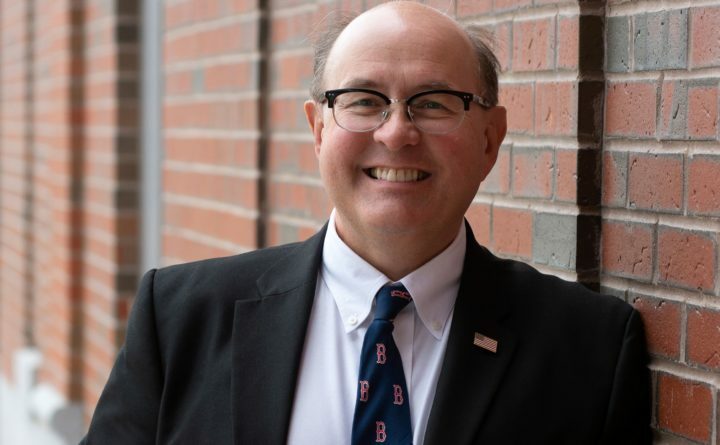 As the election for the House of Representatives in Maine’s 2nd District continues to shake out, we had the guy in charge of the ranked-choice tally live in Bangor, and he took questions from the audience and social media. Still want to know more about ranked-choice voting? Sign up for our ranked-choice voting newsletter as we continue to watch what happens in Maine’s 2nd Congressional District.